Extremely rugged and highly reliable, the Cam-Remote has been the choice of the world’s leading directors and camera operators for over 20 years. The Cam-Remote’s modular design, and components, can be easily adapted, expanded or contracted to accommodate custom applications, AND offers accessible spare slip-rings for additional custom functions and accessories. 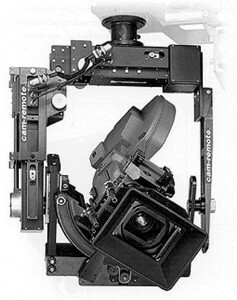 The Cam-Remote is available with the Third Axis “Dutch” Cradle, an accessory that can be added for 3-axis operation, which offers a custom roll-level indicator viewed directly in the operator’s monitor.